A well-known former political science professor sounded off on a North Carolina elementary school's flyer detailing "white privilege." Earlier this month, an eight-year-old in Raleigh brought home a worksheet discussing "white privilege" - which the school later said was a project of the PTA and not the curriculum. A North Carolina mother is questioning her son's elementary school after the second-grader brought home a sheet detailing white privilege. Amber Pabon said her eight-year-old brought home the paper from Hunter Magnet Elementary School in Raleigh. The school said it was sent home with students by the PTA and was not a lesson taught in class. She said her African-American son then proceeded to ask her questions about whether white people "are better" than him. The PTA said the sheets were meant for parents, arguing the campaign has received positive feedback and is aimed at "generating awareness and empathy" in the community. 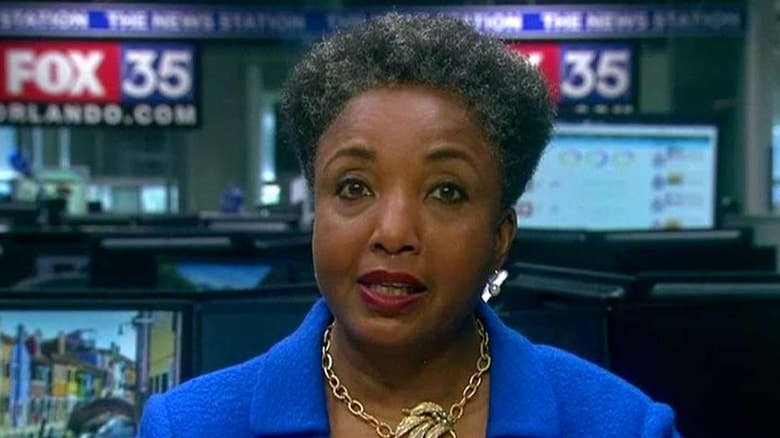 Dr. Carol Swain, a former Vanderbilt professor and 2018 Nashville, Tenn. mayoral candidate, said the flyer is "part of the ongoing indoctrination... designed to instill shame and guilt among white youth." Swain called the white privilege flyer "inappropriate" and disagreed with its premise altogether. "It's misguided. They're confusing social class with white privilege," Swain said. "Privilege is colorblind. It all depends on your resources."